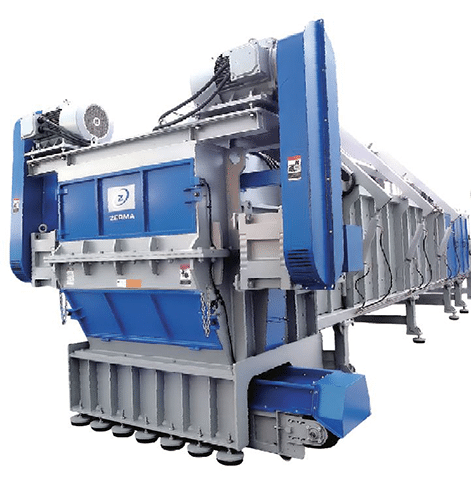 These Shredders have been developed by world renowned Zerma for the size reduction of pipes up to 1,300mm diameter in plastic materials such as UPVC, PE and PP. Pipes up to 9 metres in length may be shredded without the need for pre cutting. 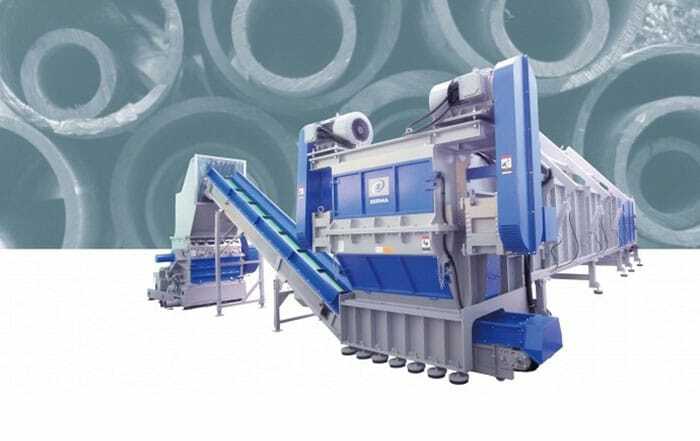 Large pipes or bundles of pipes of smaller diameter are loaded into the horizontal feeding trough, the doors are closed automatically and the hydraulic pusher forces the pipes towards the rotor. The shredded material is then discharged onto a conveyor belt and transferred to a Granulator where it is reduced to its final size. No pre-cutting of pipe up to 1200mm necessary. Automated operation makes machine virtually risk free. Facilitates the feeding of bundles or nested pipes and profiles. Reduced noise emission due to the system’s smooth operation. Low amperage peak and economical power consumption. Operated via central control panel ensuring operator safety.